Mortisha by Wig America – The perfect Halloween look, the Mortisha by Wig America is a fun hairstyle with many possibilities. Long, straight hair stretches down all around you, reaching 28 inches in length. Dress up as a witch when you're wearing this wig. We have the colors that work to achieve the look. A skin top under all the hair works to allow complete freedom when it comes to styling the Mortisha hair. If you want to part the hair in different directions, or put it up into a ponytail or bun, you can do it easily. The skin top allows the hair to be manipulated in any direction needed. Synthetic fibers work to provide a natural touch, and soft feel to the hair itself. Be creative when wearing this wig, and have fun along the way. 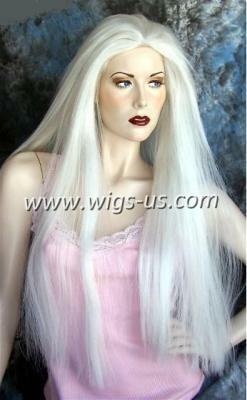 A great look for a variety of costume ideas, you can find the right one to go along with the Mortisha by Wig America.